Four new Samsung Galaxy and LG smartphones, two new Sony Xperia and Microsoft Lumia devices, and a new HTC One phone will be launched in H1 2016, according to a presentation slide from T-Mobile Poland's recent press conference. 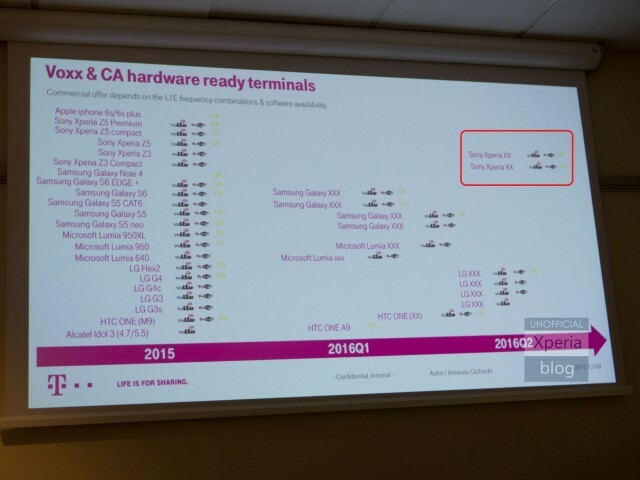 To be precise, the slide shows that two of the four Galaxy devices will be outed in the mid of the first quarter. We're expecting these to be the Galaxy S7 and S7 Plus, although there's no confirmation. The remaining two Galaxy phones will be launched towards the end of the Q1. Microsoft will also launch two new Lumia phones in Q1 - one in the mid and the other towards the end of the quarter. The slide also lists an HTC One device launching towards Q1 end. Moving on, Q2 2016 will see four new phones from LG, followed by two new Xperia phones from Sony. While we're not sure about LG, the new Xperia phones could be the part of the rumored Z6 family.